Each and every day, hunters are trying to improve not only their skill, but their gear. Hunting takes patience, a watchful eye, and gear that supports the skill hunters are crafting everyday. The scope that a hunter has is an important assistant, and more specifically, the light transmission that occurs within the scope can bring clarity and confidence to the hunter, changing the game. Yet, what is light transmission and how can it help aid the hunter or more importantly, the scope a hunter is using? Light transmission occurs in many different fields, but specifically with hunting, it helps produce the clearest image for its viewer, blocking out any distractions. Light transmission, by definition, is when light moves through something and is changed, absorbed, or even reflected. More important than anything else when you are hunting is your vision field. Yet, how so? The scope that one uses while hunting will transmit light through several lenses, giving the hunter a certain amount of light and a visual image, perfected, for their shot. It is important to have a lens that changes, absorbs, and even reflects the correct amount of light, for the hunter, to see clearly and make an accurate shot. Each scope is different - some are perfect, some are average, and some are even poor. 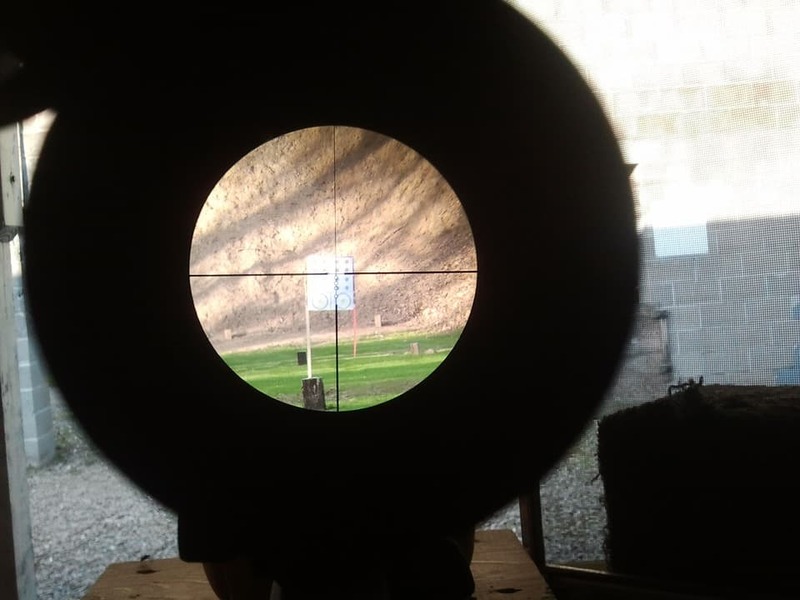 The scope’s quality can make the difference of making a long target shot of shooting something quick over shooting something quite large, visible, and slow. Which Scope do I choose? There are many scope manufactures, as the marketplace for hunting has become quite popular; yet, how does one choose and purchase the right scope for their hunting? Price matters - what you pay for and what you invest in, is simply, what you will receive. It is said, to have a visual field that is bright and clear, the scope must be big, as the larger it is, the more control and success of light transmission can occur. Simply put, the more room there is for light to enter, the more light can be transmitted, bringing success to the visual accuracy of the hunter. Yet, most hunters don't go for large scopes of extremity for many reasons. Manufacturers have realized that mounting the scope as low as possible to the bore of the gun can bring the most success. The larger scopes can be heavy and can bring strain to a person’s eye, as for most people, if not all, the human eye is very sensitive, and cannot welcome overwhelming amounts of light into its body. The size of the lens is important in how it is mounted for comfortability and weight. Over time, manufacturers have begun creating multicoated lenses, which have surfaced in popularity, bringing success to light transmission for scopes that are not as heavy and large; as those scopes, are mainly used for hunters who are choosing to hunt at night. More importantly, larger scopes, with intense light transmission, are not necessary for most hunters. The lens coating is important for light transmission; success for the blue light transmission through the scope helps the hunter more than anything else. When blue light rays properly go through the light transmission process, they will change to a neutral image, making the visual for the eyes very clear. The blue - violet cells in our eyes are the most sensitive, so if all goes well in this process, the hunter will have a good visual. ​Manufacturers have been working to apply the proper coating, making each scope more advanced. This is a way scopes are being transformed and improved; there is a specific process to coating different lenses. Some of the best hunting optics manufacturers use a technique called an evaporation process, where many layers of film are applied at once. Improving the light transmission helps hunters succeed more often. Having the scope transmit the correct amount of light for the hunter’s visual perspective, being light in weight, and being comfortable, for the eye, is very important. Scopes can be expensive, depending on what each hunter would like to have; but, different scopes can and will provide excellence and success for all types of hunting. If there is a hunter who is doing all of his hunting during the day, where there is plenty of sunlight, an average scope can satisfy just fine. The quality of the scope during the midday lighting will not be as visible over the lighting at the end of the day, or even at night. Light transmission helps provide hunters with a strong clear visual. Yet, how do you know which scope is right for you? Determining the weight, size, mounting, and light transmission is all important as well as knowing when you will be hunting. More importantly, hunting can always be improved with practice and the proper gear to support the hunter.